A 44-year-old Baptist missionary was shot and killed in the war-torn nation of Cameroon Tuesday, about two weeks after he, his wife and their eight children arrived there. Charles Wesco was shot in the head while traveling in a region where the military has been fighting separatists, according to Reuters. “My Precious husband, Charles, is now with the Savior he adored and faithfully served for many years,” she wrote. “His life focus was seeking to cause others to love Jesus and serve him. My prayer is that somehow someway Jesus will be glorified through my Precious Charles' death and that God will not let his death have been in vain. He is receiving the Martyrs crown from his Lord. My heart is broken. I want to wake up from a horrific nightmare. Please pray for us." 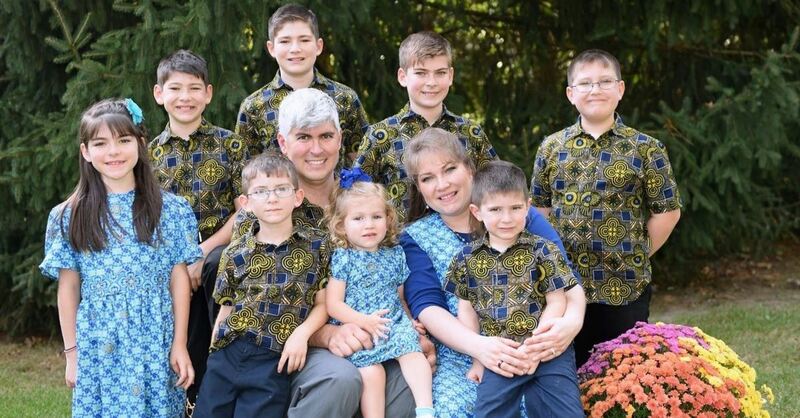 The Wescos were sent to Cameroon through First Light Baptist Mission in Oshkosh, Wis. His brother, Timothy Wesco, is pastor of Calvary Baptist Church in Elkhart, Ind. He’s also a state representative.